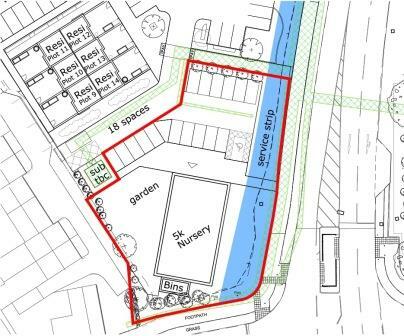 This site of 0.4 acres is available with D1 planning for a children’s nursery and is available as freehold. It is in an excellent position on the main crossroads of the new District Centre and will have very good visibility. Newton Leys District Centre is estimated to have a catchment population of over 10,000 within 1 mile radius. The scheme is anchored by Asda (11,500 sq.ft) and 6 retail units (all pre-let). There are 100 customer parking spaces. Newton Leys is a fast growing residential area of high quality housing with an existing population of 2,000 scheduled to reach 3,100 by 2019. The site will also provide a care home and a pub/restaurant in due course.